I have to admit this kind of style is not what im used to. New style. Shapes experiment. Pen tool experiment. New concept. Any comments on how to improve would be nice. Thank you to for the suggestion to do something out of your comfort zone. Not literally but this idea just popped out of my mind. This is actually a topic that I had spoken about when I needed to step out of my own comfort zone. I was having a hard time stepping outside of my podium when speaking for youth messages for my church. I was so used to standing behind my little podium and having my notes as safeguards that I became too afraid to serve God OUTSIDE of my comfort zone! The first example I had given was Esther, she was in a place of security as well as authority. She had NO reason to step outside of her comfort zone, she could have hidden her identity as a Jew and keep herself safe from danger. BUT she stepped out of her comfort zone for those who needed her to and spoke to the King as an interceder! The second example I had was Moses and his stutter. God could have used someone with perfect speaking ability, he could have picked anyone who seemed more capable, but he picked Moses, a man with a stutter. Because of this in order for Moses to lead his people he needed to step out of his comfort zone and go for God! 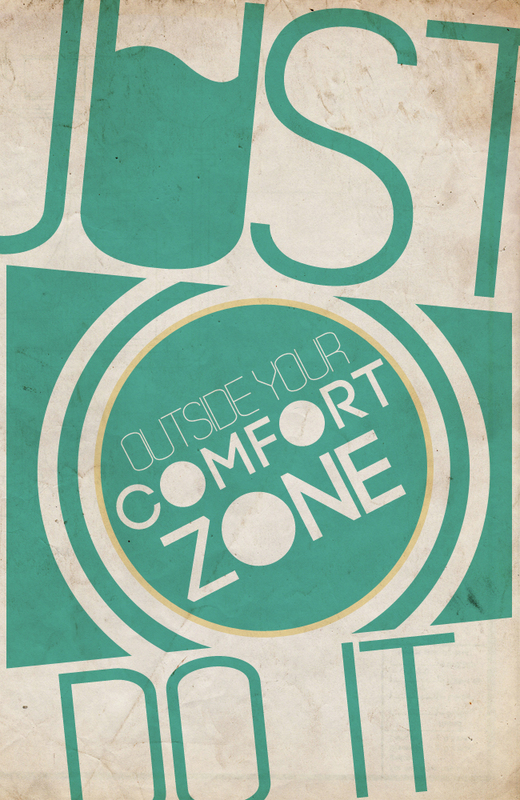 Today I encourage you to step outside of your comfort zone! yeh its very important to step outside of our comfort zone, to b free from fear to serve god, thats what u r doing and trying to do ! !